Elsa H. Jones, Administrative Law Judge, Office of Administrative Hearings (OAH), heard this matter on September 19 through September 22, 2011, in Costa Mesa, California. Newport-Mesa Unified School District (District) was represented by Nancy Finch-Heuerman, Attorney at Law, of Parker & Covert LLP. Maureen Cottrell, Zone Coordinator of Special Education for the District, was present on September 20 and 22, 2011. Ann Huntington, Executive Director of Special Education for the District, was present on September 19 and 21, 2011. Student was represented by Student’s Mother (Mother), who was present on September 19, 2011, and most of the hearing day on September 20, 2011. No representative for Student or Mother and Father (collectively, Parents), was present at any other time during the hearing. Student did not attend any portion of the hearing. Student filed a request for due process hearing (Student’s Complaint) on July 11, 2011. District filed a request for due process hearing (District’s Complaint) on August 17, 2011. On August 26, 2011, OAH granted District’s motion to consolidate the cases, and ordered that the time period for issuing a Decision would be calculated by the date of filing of the District’s Complaint. On August 31, 2011, the consolidated matters were continued. On September 19, 2011, prior to the commencement of the hearing, Student withdrew Student’s Complaint. The matter proceeded to hearing on the District’s Complaint. Sworn testimony and documentary evidence were received at the hearing. On the last day of hearing, District requested permission to file a written closing brief by no later than 5:00 p.m. on October 14, 2011. District’s request was granted. District filed its written closing brief on October 12, 2011. At that time, the record was closed and the matter was submitted. As a remedy, District requested an order that the March 8, 2011, IEP offered a FAPE to Student in the LRE, and that the District may implement the March 8, 2011, IEP without parental consent. 1. Student is a 12-year-old boy who, at all relevant times, has resided in the District with his parents. During the 2010-2011 school year, Student attended fifth grade at Eastbluff Elementary School (Eastbluff), located in the District. 2. Student was first diagnosed as a child with autism when he was 35 months of age. At all relevant times, he has been eligible for special education and related services under the category of autistic-like behaviors. He has attended Eastbluff since the 2008-2009 school year, when he was in third grade. 3. Student’s educational program during the 2010-2011 school year at Eastbluff was governed by his March 19, 2010, IEP. The IEP team included Mother, a resource specialist (RSP) teacher, a general education teacher, Kristy Becker (the school psychologist), JoAnn Pazdur (the speech and language therapist (SLP), a District administrator, and Cheryl Beck (Eastbluff’s principal).2 The March 19, 2010, IEP, provided the following placement and services: (1) placement in a general education classroom; (2) RSP services for two hours in English language arts (ELA) and math in a small group setting; (3) shared independence facilitator (IF) to be present when Student was not receiving RSP; (4) RSP collaboration one time per week for 20 minutes; (5) District Specialist, one time per month for 60 minutes; (7) speech and language (LAS) services three times per week for 30 minutes each time in a small group, and 15 minutes per week on the playground; (8) four hours per year consultation with an assistive technology (AT) specialist; and (9) extended school year (ESY) services, to consist of a District social skills program called Camp Friendship. 1The wording of the issue has been changed slightly from that in the PHC Order, to more accurately reflect the issue as presented in the District’s Complaint and the evidence at hearing. 2Ms. Pazdur is designated as Ms. Hebert in the IEP, but, at the time of the hearing, she used the surname Pazdur, and she will therefore be referred to as Ms. Pazdur in this Decision. 4. The RSP curriculum in math and ELA was designated a “replacement curriculum,” which is an alternative curriculum provided to pupils, such as Student, whose academic abilities are significantly below grade level. The IEP team agreed that Student would participate in the California Modified Assessment (CMA) testing in both ELA and math, without accommodations, as accommodations were already built into the CMA tests. The CMA tests were a modified version of the statewide California State Testing and Reporting (STAR) tests. Student was eligible to participate in CMA testing because he had scored Below Basic or Far Below Basic on previous STAR tests. The team also specified that classroom testing would include the accommodations of extra time on tests and a small group setting. The team specified that Student would be promoted or retained based on modified grade level standards. The RSP collaborative services consisted of Student’s RSP teacher collaborating with Student’s general education teacher and SLP to ensure that his needs were being met. The “District Specialist” who was to provide 60 minutes of services per month was not defined in the IEP. Ordinarily, such a person would be a school psychologist or an autism specialist. The role of the District Specialist was to provide support to the rest of the team, such as the RSP teacher, the IF, and the SLP. In Student’s case, Ms. Becker, the school psychologist was the “District Specialist” for Student. The IEP meeting notes reflected that Ms. Becker had been working with Student’s IF on strategies to improve Student’s attention. Mother mentioned that Student was being teased at the Boys and Girls Club, which was an after-school activity that was independent of the District. The team discussed bullying and the programs at Eastbluff that addressed this issue. 5. The March 19, 2010, IEP, included two reading comprehension goals, four LAS goals, four mathematics goals, one writing goal, and two behavioral goals. The two reading comprehension goals addressed Student’s understanding of third-grade level text. The LAS goals involved Student’s ability to verbally express expected and unexpected classroom behaviors, speaking in complete and grammatically correct sentences, social roleplaying, and social stories. The mathematics goals involved relating money amounts to currency, knowledge of multiplication facts from two through 10, the ability to tell time to the nearest quarter-hour, and solving word problems involving double-digit addition and subtraction. The writing goal involved writing a paragraph including a topic sentence, three to six supporting sentences, and a concluding sentence. The behavioral goals addressed improving Student’s attention by requiring him to independently participate in teaching, and improving Student’s frustration tolerance by the use of calming strategies. The IEP team ascertained Student’s present levels of performance and needs based on data from District assessments, classroom assessments, and Student’s standard-based report card, and developed the goals based on that information. Mother consented to the March 19, 2010, IEP. 6. District convened an addendum IEP meeting on September 29, 2010, to address Mother’s concerns that Student was not being taught at grade level. The IEP team included Mother, Father, Kim Wooden (Student’s RSP teacher), Ms. Becker, June Elsten (Student’s general education teacher), and Ms. Beck (Eastbluff’s principal.) In response to Mother’s inquiry, the team discussed Student’s general education classroom schedule and Student’s RSP program, as well as IEP goals, present levels of performance, and progress. The RSP teacher agreed to provide Mother with Student’s daily schedule. The team stated that the RSP teacher would assign Student’s homework in reading, spelling, and math. Student’s general education teacher shared that Student’s work in social studies and science were modified by the teacher, the RSP teacher, and the school psychologist, and that Student’s IF also assisted Student. The team also clarified that Student’s IF was a shared aide who worked primarily with Student. The IEP stated that Parents would be advised through Student’s planner about his school work, and the general education teacher would give Mother the social studies and science books for her use at home. The team clarified that assessments would be conducted by the RSP teacher on the RSP goals, and the general education teacher would assess what Student learned in the general education classroom. The team specified that Student’s progress in the general education setting would be reflected through his work, observations of learning on the modified curriculum, and on report cards. The team noted that the school psychologist, and general education and RSP teachers had observed student playing with typical peers at recess, and that the peers provided Student extra turns and reminded him of the rules. Father shared that Student’s strength included his visual learning ability and his use of technology at home. Parents consented to the amended IEP. 7. The District convened an addendum IEP meeting on November 17, 2010, as part of a District-wide policy to confirm the number of Students who would be taking the state CMA testing so that the District could order a sufficient number of assessments. As a result, the District convened many IEPs during this time. District provided written notice of this IEP meeting dated November 9, 2010, and, on that date, Mother signed the notice, signifying her intention to attend the meeting. Mother attended the November 17, 2010, IEP meeting, along with Kim Wooden, Ms. Elsten, Ms. Pazdur (Student’s SLP), and Ms. Beck. 8. The team agreed that Student would receive state CMA testing for ELA, math, and science. The team was required to obtain parental consent to add science to Student’s CMA testing, which was another reason to convene this IEP meeting. The team presented and explained an IEP progress report, and particularly discussed Student’s goal in the area of individual participation in class. The SLP explained that Student practiced socialization skills by role playing social peer interactions. The SLP also advised that Student had difficulty transitioning to the playground but that she was working on that. The SLP reported that she encouraged Student’s use of full sentences, and the staff was facilitating that skill across all settings. The team discussed Student’s participation in cooking math lessons, and Mother agreed, giving permission for Student to opt out of music lessons, which conflicted with the cooking lessons. Mother requested that Student’s intake of sugary foods be modified during the cooking lessons. Staff had recently observed that Student was having increased difficulty focusing on tasks in the mornings, which was being addressed through the behavioral goal, and the school psychologist recommended a strategy on this issue for staff to implement. Mother expressed concern about Student’s social skills, and said she would like Student to have as many opportunities as possible to interact and socialize with others. Mother signed her consent to this amended IEP. 9. District implemented the March 19, 2010, IEP and its amendments. Student received two hours per day of RSP services in ELA and mathematics, and spent the remainder of the day in general education. Student’s IEP goals were implemented by District staff. Student’s RSP teacher collaborated with his general education teacher and aide a minimum of 20 minutes per week. Ms. Pazdur provided LAS therapy to Student in a small group three times per week for 30 minutes each session. Ms. Pazdur has provided LAS services to Student since he arrived in the District in 2008, when he was in third grade. Ms. Pazdur received her bachelor’s degree in psychology, with a minor in sociology, from the University of Manitoba in 1989. She received her master’s degree in communication sciences and disorders in 1991 from the University of Vermont. She received an Assistive Technology Assessment Certificate from the California Department of Education Diagnostic Center in 2009. She holds a Clear Speech-Language Pathology Services Credential and a Certificate of Clinical Competence from the American Speech-Language-Hearing Association. Since 2007, she has been employed by the District as an SLP, and as an AT consultant. In addition to providing LAS therapy to Student, 15 minutes per week she provided services to Student and other pupils on the playground in a social skills program known as the Eastbluff Arcade. The Eastbluff Arcade program was in addition to, and not a replacement for, Student’s recess. Ms. Pazdur also provided in excess of four hours of AT training in the Solo computer program to Ms. Elsten, Jacene Deratany (Student’s IF aide), and Student’s RSP teacher. The Solo program was a literary suite of reading and writing computer programs that Student used in both general education and RSP. Ms. Pazdur also offered five sessions of AT training to all parents in the District during the 2010-2011 school year. Parents did not attend these sessions. 10. Ms. Becker, as the District Specialist referenced in the March 19, 2010, IEP, provided collaborative services to Student’s RSP teachers and to Ms. Pazdur for at least 60 minutes per month. Ms. Becker received her B.A. in psychology and sociology in 2003 from the University of California, Los Angeles (UCLA), and her M.A. in school psychology in 2005 from the University of California, Riverside (UC Riverside). At the time of the hearing, Ms. Becker was in the Ph.D. program in school psychology at UC Riverside. Ms. Becker holds a Pupil Personnel Services credential. She has served as the school psychologist at Eastbluff Elementary School since September 2007. 11. There was no evidence that Student attended the ESY social skills program offered in Student’s March 19, 2010, IEP during summer 2010. 12. During the 2010-2011 school year, Student’s fifth grade general education classroom included approximately 28 students. Ms. Elsten was Student’s general education teacher. She has a B.A. from the University of Redlands. She received her multi-subject elementary credential from the University of California, Irvine (UCI), in 1990. She received an M.A. in educational leadership from California State University, Fullerton (CSU, Fullerton). She also holds a Language Development Specialist credential, which allows her to teach English as a second language. She has twenty years experience as a teacher, including approximately three years experience in teaching fifth grade. While in the general education environment, Student had an IF aide, Ms. Deratany, who was also available to assist other children. She was not assigned as a one-to-one aide, but rather as a shared aide. Therefore, she occasionally would prompt another child with autism in the classroom, and when Student worked on group projects she would assist the other children in the group. However, she spent anywhere from 80 percent to 95 percent of her time working exclusively one-to-one with Student, assisting him at recess, lunch, and in the general education classroom. She also assisted him with his class work in the general education environment, which included pull-out from the general education classroom for science, art, music, and physical education. Ms. Deratany did not provide direct instruction to Student; rather, she prompted him and helped Student with his assignments. When the other children in the general education class worked on their writing, grammar, and vocabulary, she assisted Student with his RSP class work. He worked on reading programs and performed his written work on the computer. He liked working on the computer, and therefore Ms. Elsten and Ms. Deratany allowed Student to work on the computer during his free time, after he finished his work from RSP. When the general education class worked on social studies, Student and Ms. Deratany tried to follow along in the textbook, but he needed to be prompted to focus on the book, and he could not read the book. Pursuant to the addendum IEP of September 29, 2009, Ms. Elsten sent the social studies and science textbooks home for Parents to use. 13. Student did not generally undertake classroom routines or academic tasks independently. For example, he needed prompting to take out his social studies book, and he frequently needed prompting to go to his RSP class. He could follow the classroom routine approximately 15 percent of the time without prompting. Student could generally attend to tasks approximately 10 minutes with prompts, and less than 5 minutes without prompts. He could attend longer when he was interested in the material. In comparison, Student’s typical peers could attend for 20-30 minutes, without prompting. Student required approximately three prompts every 10 minutes to stay on task. 14. Student required multiple repetitions of instructions. Ms. Deratany would repeat the teacher’s instructions to him, and would repeat her own instructions to him. He could follow the instructions if Ms. Deratany divided them into steps. Sometimes he could follow a two-step instruction without Ms. Deratany’s assistance in breaking it into two steps. He could write a complete sentence independently, but he could not compose a complete paragraph independently. With assistance, Student could verbalize a topic sentence, one or two supporting statements, and a closing statement. He could not do spelling work along with peers in classroom, even when his spelling list was cut to five words. He was allowed to take science and social studies tests with an opened book, because Ms. Elsten knew that he needed visuals. His typical peers were not allowed to take such tests using opened books. Additionally, Student’s tests were more oral than written, and Ms. Deratany assisted him. Unlike his classmates’ tests, Student’s tests only included true/false or matching items. Ms. Elsten tried to have Ms. Deratany limit her assistance to Student, to foster his independence, but this was unsuccessful, as he continued to need Ms. Deratany’s assistance. When Student was not focused on task, he would engage in self-stimulating behavior, such as rocking in his chair or uncontrollable laughter. He would stop if prompted. 15. All of Student’s classroom assignments in the general education classroom were modified by Ms. Elsten and Ms. Deratany. For example, after the morning school assembly, and before Student went to this RSP class, Student and his classmates went to Ms. Elsten’s classroom. Ms. Elsten started the day by writing a quotation on the board with the name of the author, the dates of the author’s birth and death, and a question, which Student’s peers were assigned to answer. Ms. Elsten only assigned Student to take out his journal, write the current date, and copy the quotation, the name of its author, and the dates the author was born and died. Since Student had difficulty copying the quotation directly from the board, Ms. Elsten would give him a paper with the quotation on it from which he could copy. Student had 10 minutes to perform this assignment before going to his RSP class. Fifty percent of the time, he could not finish the assignment before he had to leave for the RSP class, and he could not do the assignment at all without prompting. 16. Student was not required to do very much homework for his general education classes except for book reports and special projects, all of which, including the homework, were modified and simplified compared to the work Ms. Elsten assigned. Ms. Elsten would confer with Student’s RSP teacher to assist in modifying Student’s book report assignments and social studies projects. For example, Student’s book report would discuss a second or third-grade level book, and the report would contain less information than the reports of his typical peers. Ms. Deratany helped him read the book and write the report. Ms. Deratany would also help him prepare special projects. When the project was completed, and Student was assigned to present the project to the class, Student would practice the presentation with Ms. Deratany beforehand. Student enjoyed presenting reports to the class, and he could do so independently. When he presented to the class, he demonstrated some fluency of thought and he spoke in complete sentences. When not making a presentation, he only spoke in short sentences or phrases. School staff noted in Student’s daily planner those occasions when he independently gave a presentation to the class, as well as other isolated tasks which he performed independently. In general, however, he could not perform any classroom task independently. 17. Student did not work on any assignments at the fifth grade level, except for group projects, in which he participated with Ms. Deratany’s assistance. The other children treated Student politely when he was assigned to their group, but in private they occasionally complained to Ms. Elsten about working with Student, because he slowed the pace of the project. 18. In general, Student’s participation in general education class and in classroom activities was limited. In the morning, he only participated in the general assembly in the school courtyard at the beginning of school about 50 percent of the time. The rest of the time he sat with Mother on benches near the lunch area. Student’s lack of participation in the morning assembly was not usual for fifth graders. He would sometimes raise his hand to participate in classroom discussions in science and social studies, but he was not always able to stay on the topic. Student could respond to questions in class if the material was presented visually, such as in a video clip. Even then, his answers would only demonstrate an understanding of something related to the visual. His answers did not include any reasoning. If the material was presented only on a paper or a whiteboard, he would only provide an ontopic response approximately 10 percent of the time. However, Student enjoyed being named “Sergeant-at-Arms” by Ms. Elsten. This was an honor she bestowed on selected pupils at the end of the school day, and the honoree’s job included dismissing the class. 19. Student occasionally interacted with his general education peers in the classroom, but he rarely initiated interactions. Ms. Elsten never saw him initiate a two-sided conversation with peers, whether on the playground or in class. Student perseverated on violent computer games, and his conversations would be about who had killed whom during the game, which did not interest his peers. Almost all of his social behaviors were prompted. There was no evidence that he had any friends at school. 20. On the playground, Student always joined in the games. The other children included him, making allowances when he failed to understand or play by the rules. It was difficult for him to understand competition and the rules of game. He sometimes misunderstood other children’s motivations and became upset when the other children tried to enforce the game rules. Sometimes the other children required prompting to pass the ball to him or otherwise include him in the game. He rarely initiated conversations on the playground, and he sometimes needed prompting to respond to the other children who played with him on the playground. 21. Student’s behavior in the general education environment was good towards the beginning of the school year, and he seemed relaxed and happy. Nevertheless, sometimes minor events at school would upset Student to such a degree that it would take him all day to restore his focus. 22. As the school year continued, his attitude changed. He became more resistant and angry. He had more outbursts, saying such things as “I’m not going.” He no longer wanted to go to RSP in morning. He became more emotional and cried more frequently toward the end of the year. By the end of the year he was crying approximately once per week, which was more than most of his typical peers. Such behaviors disrupted the teacher’s instruction and the other children’s work in the classroom. 23. His absences from school increased. During the last one-third of the school year, while in the general education setting, Student engaged in more self-stimulating behavior, such as self-talk and gazing up at the ceiling lights. 24. Student attended RSP on a pull-out basis for two hours in the morning, five days per week, as provided for in his IEP. His RSP class was held every school day, including on shortened school days. The RSP class consisted of six children, including Student. There was one RSP classroom aide, and from one to three additional aides or IFs in the RSP class when Student was there. 25. From the beginning of the 2010-2011 school year until December 2010, Student’s RSP teacher was Kim Wooden. From December 2010 and thereafter, Student’s RSP teacher was Kari Adams. Ms. Adams received her B.A. in political science and history from UCI, her M.A. in science and an M.A. in special education form California State University, San Bernardino, and her Administrative credential from CSU, Fullerton. Her special education credential is mild-moderate. She has been an RSP teacher in the District since December, 2010, when she became student’s RSP teacher at Eastbluff. Prior to that time, she had four years of experience as a special education teacher, either in a special day class (SDC) or an RSP setting. 26. During RSP, Student worked in a small group with the teacher. The group worked on two reading intervention programs, Voyager and Read Naturally. Both of the programs were research-based and state approved. Student worked on his reading goals while in the RSP class. Student was better at decoding than comprehension. His comprehension was at a second or third grade level, depending on the complexity of the material. 27. Student also worked on his writing goals while in the RSP class. He could write a sentence of between 5 to 10 words. Approximately 60 percent of the time, the sentence contained proper grammar and punctuation. He needed assistance in writing a paragraph. 28. Student also worked on his math goals while in the RSP class. Student’s math skills were at the second or third grade level. He could add and subtract without borrowing. He could carry by the end of the year. He had not memorized his multiplication tables; instead, he had to refer to a chart. He could do first-grade level word problems independently. He could perform word problems at the second and third grade level in a group. 29. Student rarely worked by himself in the RSP class. He was not successful working independently. He very rarely initiated participation in class; the teacher would mostly have to encourage him to participate. He rarely initiated conversations with peers; but sometimes he would respond when other pupils said something to him. The RSP teacher and other students had to repeat questions numerous times before he would respond. He always needed prompts when working in a group. He could work for one to two minutes without prompts, and then he would lose focus. 30. Student also worked on his behavior goals while in the RSP class. His behavior problems mostly consisted of inadequately attending and focusing. He would engage in self-stimulatory behaviors such as rocking in the chair and self-talking. At least a couple of times a week he would say that he did not want to do something, but, after several redirections, he would eventually undertake the task. 31. On May 2, 2011, Mother emailed Ms. Beck, Eastbluff’s principal, that Student had reported bullying to her. Mother checked with staff regarding Mother’s concern, and learned that nobody had any knowledge of Student being bullied. Ms. Beck wrote to Mother so advising her, and stating she would monitor the situation. Mother also discussed Student’s reports of bullying with Ms. Deratany on two occasions. Other children on the playground would sometimes complain that Student did not play by the rules or did not understand the rules, but no school personnel had ever observed or reported Student being bullied at school. Eastbluff had a school-wide anti-bullying program, which emphasized Coach John Wooden’s character traits and model behaviors. All of the children were involved in the program, which also included instruction in what to do if they were bullied, and how to be problem-solvers and advocate for each other. 32. Mother was frequently on campus. At times, her presence interfered with classroom learning, so the District curtailed her classroom visits. She picked Student up from school daily, and she personally consulted with Ms. Deratany at the end of nearly every school day. Ms. Deratany also communicated with Parents through Student’s daily planner, in which Ms. Deratany wrote such information as what Student had done that day, how his day had gone, and what he ate at lunch. 33. In February and early March 2011, when Student was 11 years old and in the fifth grade, the District conducted a multi-disciplinary triennial assessment of Student. The District received Parent’s consent to the assessment on February 7, 2011. The assessment team consisted of Ms. Becker (District’s school psychologist), Ms. Adams (Student’s RSP teacher), Ms. Elsten (Student’s general education teacher), the school nurse, and Ms. Pazdur (Student’s SLP). The team prepared an assessment report dated March 8, 2011. The triennial assessment was to determine Student’s present levels of performance, unique needs, whether he continued to need special education and related services, and whether his IEP needed revision. 34. All assessments were administered in English, Student’s dominant language, with the exception of a nonverbal assessment for his cognitive skills. All testing and assessment materials and procedures used were selected and administered so as not to be racially, culturally, or sexually discriminatory. The tests and other assessment materials were validated for the specific purpose for which they were used, and were administered in conformity with the instructions for the assessment. The assessment instruments were selected to best reflect Student’s aptitude and achievement level and any other factor the instrument was supposed to measure. The test and other assessment materials included those tailored to assess specific areas of educational need, and Student was assessed in all areas of suspected disability. No single procedure was used to analyze Student’s eligibility for special education or to determine appropriate educational programming. 35. The team used the following assessment instruments: (1) Review of school records; (2) Clinical observations; (3) Review of health and developmental history; (4) Parent interview; (5) Teacher interview; (6) Universal Nonverbal Intelligence Test (UNIT); (7) Parent and teacher rating scales of the Adaptive Behavior Assessment System, Second Edition (ABAS-II); (8) Parent and teacher rating scales of the Pervasive Developmental Disorder Behavior Inventory (PDDBI); (9) Woodcock-Johnson Tests of Achievement— Third Edition (WJ-III); (10) Beery-Buktenica Developmental Test of Visual-Motor Integration (VMI); (11) Beery VMI Developmental Test of Visual Perception; (12) Beery VMI Developmental Test of Motor Coordination; (13) Parent and Teacher rating scales of the Behavior Assessment System for Children, Second Edition (BASC-2); (14) Clinical Evaluation of Language Fundamentals, Fourth Edition (CELF-4); (15) Goldman-Fristoe Test of Articulation, Second Edition (GFTA-2); (16) Form B of the Peabody Picture Vocabulary Test, Second Edition (PPVT-2); (17) Expressive Vocabulary Test, Second Edition (EVT-2); (18) Test of Narrative Language; (19) Pragmatics Profile; (20) Children’s Communication Checklist, Second Edition (CCC-2); and (21) Test of Problem Solving 3-Elementary (TOPS3). 36. The assessment report contained a brief summary of Student’s background information and educational history. The health and developmental history revealed that Student was in good general health, had no known allergies, and took no daily medications. The report included Student’s scores from his previous triennial, which was conducted by another school district on May 29, 2008. 37. The report noted that the current assessment involved numerous testing sessions. The assessors observed that Student would cooperate and attempt all tasks presented, and appeared to put forth his best effort. Student required occasional prompting to stay on task, as well as breaks between subtests. He engaged in self-stimulatory behaviors and would not make consistent eye contact with the assessors. He would engage in brief conversational exchanges with the assessors. 38. The report contained Parents’ observations of Student’s strengths and challenges. Parents stated that Student was organized and meticulous, and able to teach himself what he wanted to learn, was able to remember everything in great detail, and that he strived to be the best in everything. Parents also reported that Student would lose interest and concentration in any activity that was not of interest to him, that he was mostly a visual learner, and that he was sometimes more challenged when material was only presented in auditory form. 39. The report contained observations from Ms. Elsten, Student’s fifth grade general education teacher, who noted that Student was significantly below grade level in all areas. Student required adult facilitation to complete tasks even with significant modifications of the class work. Ms. Elsten observed that Student was currently reading and spelling at a third grade level, did not consistently speak in complete sentences, and had difficulty in writing multiple sentences and organizing his writing. In math, Student could add and subtract with three digits, but was still working on multiplication, word problems, and money. He also had difficulty solving multi-step problems. He could copy from the board, hold a pencil properly, and use scissors. He could print legibly, but he could not write in cursive. Student demonstrated significant difficulty focusing and attending in class, and required redirection approximately seven times in 10 minutes. He could remember and follow the classroom schedule written on the board. In the social area, Student and his peers were kind and accepting of one another, but Student did not appear to have any close friends. Student inconsistently engaged in conversation with peers, and when he did, it tended to be at an immature level with only a few exchanges. He played handball and had demonstrated skills in basketball. 40. The report also contained observations from Ms. Adams, Student’s fifth grade RSP teacher as of December 2010. Ms. Adams reported Student’s strengths as neat printing, following directions, and spelling tests. He had challenges with being on task, with speed, and in the subjects of reading, writing, and math. He was reading at the third grade level, but required many prompts to explain what he had read. Student was good at memorizing spelling words. He did not always write sentences in the correct tense, or use correct subject/verb agreement. He could write a small paragraph with graphic organizers and support. He could tell time, add, and subtract without borrowing. Student was challenged by multiplication tables and word problems, and he had difficulty solving multi-step problems. He had difficulty with social communication. His fine motor skills were a relative strength. Student could remember his homework assignments and school supplies, and he could sometimes follow the classroom schedule on the board. Attention was a challenge for Student, and significantly impacted his academic performance. He had significant difficulty focusing/attending in class, and he required redirection more than approximately 20 times per hour. He had no close friends, but he was able to get along with his classmates. Generally, Ms. Adams concluded that Student needed more academic support than could be provided in the general education setting. 41. The report contains the results of school observations of Student by Ms. Becker, the school psychologist. Ms. Becker’s observations generally consisted of noting the activities in which Student engaged, and recording data regarding Student’s attention to task and his engagement in self-stimulating behaviors. Ms. Becker observed Student twice on February 15, 2011. The first time, she observed him for 20 minutes during Student’s RSP instruction. During this time, Student demonstrated appropriate on-task behavior for 66.25 percent of the time, compared to a classroom peer who was on task for 86.25 percent of the time. When Student was not on task, he engaged in self-stimulatory behaviors at the rate of approximately once per minute, for an average of 19.5 seconds each time. These behaviors included, but were not limited to, rocking in his chair, gazing at the ceiling, facial grimacing, smiling/giggling inappropriately, off-topic self talk, and looking at the turning dial on the back of a clock. Student required 17 adult redirections back to task, or approximately .85 per minute. He was 94.12 percent compliant to adult redirections. In comparison, Student’s classroom peer did not engage in self-stimulatory behavior, but had seven episodes of off-task behavior, with each episode lasting an average of 23.57 seconds. The peer required two adult redirections to task, and the peer was 100 percent compliant with the redirections. 42. Ms. Becker also observed Student at recess on February 15, 2011, for almost 20 minutes. He independently approached a group of approximately eight fifth-grade boys playing handball, and engaged with them and with the game. The peers allowed Student to continue to play even when he made more mistakes playing than they did, and Student observed the rules when he was called “out.” He engaged in 12 episodes of self-stimulatory behaviors throughout the observation, with each episode lasting an average of 32.5 seconds. He was able to redirect himself to the game 100 percent of the time. His self-stimulatory behaviors included, but were not limited to, rocking his body, twirling in a circle, twirling his fingers, off-topic self talk, gazing, smiling/giggling inappropriately, and pretending to play the guitar. At the end of recess, Student independently attended to the bell and lined up appropriately with his peers. 43. Ms. Becker also observed Student on two occasions on February 28, 2011, for 20 minutes each time. The first observation occurred during Student’s RSP class. He was working on a writing assignment with an instructor and then he transitioned to a small group of students to participate in the Voyager computer-based reading intervention program for approximately six minutes. During the writing task, Student wrote five sentences summarizing a story he had just read. He demonstrated on-task behaviors for 95 percent of the observation time. However, he also engaged in 13 episodes of self-stimulatory behavior. 44. Ms. Becker observed Student again on February 28, 2011, during Student’s general education science class. The class read aloud in a group, and then completed a worksheet regarding the material. Student demonstrated on-task behavior for 92.5 percent of the period. He was able to independently participate in the group reading, requiring approximately two prompts to look at the book while reading. He required assistance from his IF to complete the writing assignment. The assistance consisted of modifying the work to his current academic level. Most of the assignment involved Student copying simple sentences that his IF wrote for him. Student engaged in 26 periods of self-stimulatory behavior, for a rate of approximately 1.3 per minute. These behaviors included, but were not limited to, visual gazing, off-topic self talk, facial grimacing, smiling/giggling inappropriately, and rocking in his chair. 45. Finally, Ms. Becker observed Student one time on March 1, 2011, for 20 minutes, while Student was in his general education fifth grade class. The report noted that while the class was engaged in independent grade-level work, Student worked on a different writing activity at his academic level. Student’s task differed entirely from that of his classmates, because the class activity could not be modified to Student’s academic skill level. Student typed his writing project on a computer. He interacted with the IF for approximately six minutes to set up the activity, and then he typed the project independently for approximately 14 minutes. He remained on task for approximately 81.25 percent of the observation period, and was on task 100 percent of the time when he was working one-to-one with the IF. Student was on task 71.15 percent of the time during his independent typing. Student did not engage in self-stimulatory behaviors while working one-to-one with his IF. He engaged in seven instances of self-stimulatory behaviors during his independent work, averaging 32.14 seconds of duration each episode. His self-stimulatory behaviors included, but were not limited to, gazing, smiling inappropriately, and rocking in his seat. He redirected himself back to task approximately 85.7 percent of the time. 46. Ms. Becker administered many of the assessments described in the assessment report. She had been trained to administer all of the tests she conducted, and, in her opinion, she obtained valid scores. Ms. Becker assessed Student’s intellectual functioning by administering the UNIT to Student. The report noted that the UNIT, a nonverbal method for assessing intelligence, was administered due to Student’s language difficulties. Student obtained a standard score of 82 (Low Average range) on the Full Scale Quotient. He obtained a standard score of 91 (Average range) on the Memory Quotient, a standard score of 77 (Delayed range) on the Reasoning Quotient, a standard score of 85 (Low Average range) on the Symbolic Quotient, and a standard score of 82 (Low Average range) on the Nonsymbolic Quotient. The report noted that Student required some verbal prompts and cues during the administration of the UNIT to maintain his attention to task. These adjustments in the test administration did not affect the accuracy of the results. Ms. Becker concluded that Student was cognitively functioning in the low average range when compared to his same-age peers. 47. Ms. Becker measured Student’s current adaptive behavior using the ABAS-II. Ms. Elsten provided the teacher ratings, with input from Ms. Adams and Student’s IF aide. Their ratings of Student yielded a General Adaptive Composite scaled score of 34, which fell in the Extremely Low range. The General Adaptive Composite scaled score was based on a combination of Student’s scaled scores of 13 (Borderline range) on the Conceptual Composite, 5 (Extremely Low range) on the Social Composite, and 16 (Extremely Low range) on the Practical Composite. The assessment report observed that overall, Student was demonstrating extremely low average adaptive behavior skills at school compared to his same-age peers. 48. Mother provided the ABAS-II parent ratings. Mother’s ratings yielded a General Adaptive scaled score of 107 (Above Average range). This score was based on a combination of Student’s scaled score of 34 (Average range) on the Conceptual Composite; 22 (Average range) on the Social Composite, and 51 (Superior range) on the Practical Composite. The report noted that, based on Mother’s ratings, Student was demonstrating average adaptive behavior skills at home. 49. Ms. Adams administered the WJ-III Tests of Achievement to assess Student’s academic achievement in reading, writing, and mathematics. Ms. Adams had been trained in administering the WJ-III Tests of Achievement, and had previously administered them approximately 1,000 times. The test was the same test that another school district had administered to Student during his previous triennial examination in May 2008, before Student entered the District. Student’s Total Achievement standard score on the assessment administered by Ms. Adams was 61 (.4 percentile). His standard score in Broad Reading was 74 (4th percentile; grade level equivalent of 2.7), with standard scores of 80 on the Letter Word Identification subtest (9th percentile; grade level equivalent of 3.1); 75 on the Reading Fluency subtest (5th percentile; grade level equivalent of 2.6); and 74 on the Passage Comprehension subtest (4th percentile; grade level equivalent of 2.2). Student’s standard score in Broad Mathematics was 50 (.4 percentile; grade level equivalent of 1.7); with standard scores of 80 on the Calculation subtest (9th percentile); 53 on the Math Fluency subtest (less than .1 percentile); and 50 on the Applied Problems subtest (less than .1 percentile). Student’s standard score in Broad Written Language was 72 (3rd percentile; grade level equivalent of 2.7), with standard scores of 80 on the Spelling subtest (9th percentile; 3.1 grade level equivalent); 64 on the Writing Fluency subtest (1st percentile; 2.3 grade level equivalent); and 80 on the Writing Sample subtest (9th percentile; 2.5 grade level equivalent). 50. The report stated that Student’s broad academic functioning was in the low range in Broad Reading, Broad Mathematics, and Broad Written Language. The report also detailed various aspects of Student’s performance on several of the WJ-III subtests. Student was not able to perform all single digit or any double digit multiplication problems on the Calculation subtest. He was able to answer simple additional and subtraction problems correctly on the Math Fluency subtest, but he had to be reminded to stay on task numerous times. Student scored at the K.5 grade level on the Applied Problems subtest, as he was unable to add and subtract simple work problems read aloud by the proctor. The reports also noted that Student had difficulty attending to task during the Writing Fluency subtest. The report concluded that Student was functioning below expectancy in academics as compared to his cognitive abilities in the areas of Broad Mathematics and Total Achievement. 51. The report examined Student’s Progress Reports from third grade (the 20082009 school year) through the first grading period of fifth grade. The possible grades ranged from 1 (Limited Progress toward Meeting the Grade Level Standard) to 4 (Excellent Progress toward Meeting the Grade Level Standard.) A score of 2 was equivalent to Moderate Progress toward Meeting the Grade Level Standard. The highest scores Student obtained were a 2+ in Listening and Speaking in both the second and third grading periods in third grade, a 2+ in Measurement and Geometry in the third grading period in third grade, and a 2+ in Content Knowledge in Science during the third grading period in third grade. During the first grading period of fifth grade (the 2010-2011 academic year), Student received all 1s. The assessment team concluded that the Progress Reports overall reflected limited progress toward meeting grade level standards in all areas, and indicated overall significantly below grade level academic performance in all areas. 52. 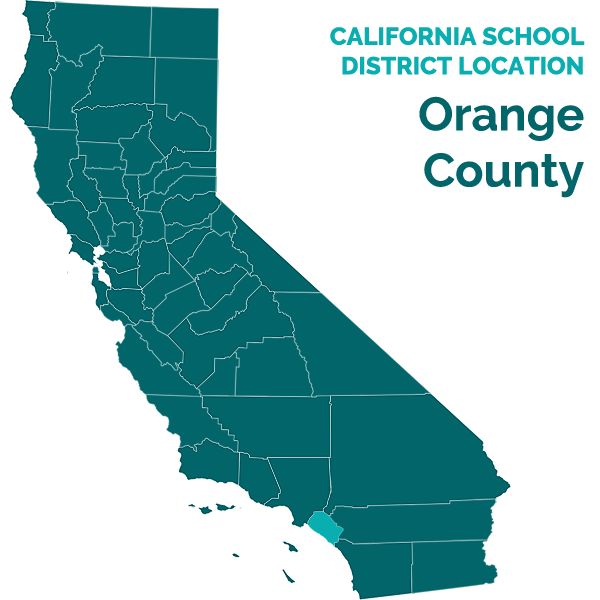 The assessment team also reported Student’s results on California’s Standardized Testing and Reporting (STAR) Program. The report stated that Student demonstrated Below Basic and Far Below Basic scores for his second grade year in both ELA and Mathematics, which qualified him for the CMA. The report noted that in third grade, Student had scored Basic in ELA and Below Basic in Mathematics on the CMA. In fourth grade, Student again scored Below Basic in Mathematics, and he scored Far Below Basic in ELA. The assessment report observed that Student’s consistent scores in the Below Basic to Far Below Basic range on the CMA indicated significantly below average test performance on grade level content standards since third grade. 53. Ms. Becker’s intern administered the VMI and the VMI supplemental tests of Visual Perception and Motor Coordination, under the supervision of Ms. Becker. The intern was qualified to do the assessment. Student obtained a standard score of 87 (Low Average range) on the VMI, a statndard score of 104 (Average range) on the Visual Perception test, and a standard score of 22 (Low Average range) on the Motor Coordination tests. 54. Ms. Pazdur, the District’s SLP, administered the speech and language portion of the assessment, and the assessment report contained Student’s scores on these instruments. Ms. Pazdur was trained and experienced in administering the assessments. Ms. Pazdur administered four core subtests of the CELF-4: Concepts and Following Directions, Recalling Sentences, Formulated Sentences, and Word Classes 2-Total. She derived Student’s Core Language score from these four subtests, and reported that this score was the most representative measure of Student’s language score. Student’s standard scores on these subtests ranged from a low of 1 in Word Classes 2-Total, to 3 in Concepts and Following Directions. These scores yielded a Core Language score of 44 (percentile rank of less than .1), which placed Student in the very low range of functioning. On the CELF-4 Receptive Language Index, Student obtained a Receptive Language index standard score of 55 (percentile rank of .1 percent), which placed Student in the very low range of functioning. On the CELF-4 Expressive Language Index, Student obtained an Expressive Language index standard score of 47 (percentile rank of less than .1 percent), which placed Student in the very low range of functioning. 55. Ms. Pazdur assessed Student’s semantic knowledge by administering three subtests to obtain the CELF-4 Language Content index. Student received a Language Content index score of 52 (percentile rank of .1 percent), which placed Student in the very low range of functioning. Ms. Pazdur assessed Student’s ability to perform memory dependent language tasks by administering subtests to obtain the CELF-4 Language Memory index. Student received a Language Memory index of 48 (percentile rank of less than .1 percent), which placed Student in the very low range of functioning. 56. Ms. Pazdur also administered the Pragmatics Profile, a checklist completed by Student’s teacher and Parent to gain additional information about Student’s overall pragmatic development and about Student’s development of skills for social and school interactions. Student received a total score of 89 on the teacher’s report of the Pragmatics Profile, which did not meet the criterion score for his age. The report stated that these scores suggested that Student had weak social communication abilities in the school context. Student had significant weaknesses in his ability to understand non-verbal cues, to understand how to appropriately respond to information, and to understand the rules and rituals of conversation such as greetings, turn-taking, maintaining eye contact, topic maintenance, and using and understanding jokes. He received a total score of 169 on the Parent’s report of the Pragmatics Profile, which met the criterion score for his age in social communication and pragmatic language skills in the home setting. 57. The report elaborated upon Student’s conversational abilities. With prompts, he could initiate and participate in conversations with peers and adults across two to three exchanges. He requested clarification when he did not understand. He could coordinate his actions with peers to complete games and activities across at least two to three exchanges with prompts and modeling. He could engage in conversation with a peer or adult on his preferred topics, but he required assistance to maintain a conversation on a peer’s topic. 58. Ms. Pazdur administered the PPVT-4, Form B, to measure Student’s receptive vocabulary development. Student achieved a standard score of 57 (.2 percentile) on this test, which the report described as an extremely low score, and which placed Student in the significantly below average range. Ms. Pazdur assessed Student’s overall expressive vocabulary using the EVT-2. Student obtained a standard score of 65 on this test, which placed him at the first percentile, and in the below average range. She administered the Test of Narrative Language to measure Student’s ability to listen to and tell stories. Student obtained a standard score of 1, which provided an index score of 45 and which placed him in the less than first percentile rank. The report interpreted these results as indicating that Student was having significant difficulty in the areas of Narrative Comprehension and Oral Narration. He had difficulty recalling and understanding information in stories produced by others, and also struggled to weave words and sentences into stories involving characters who engage in goal-directed actions related to events, consequences, and resolutions. 59. Ms. Pazdur also administered the CCC-2, a ratings form directed to Student’s parent and teacher to assess Student’s communication skills in the areas of pragmatics, syntax, morphology, semantics, and speech. Father completed the parent rating form, which indicated that Student presented with borderline-to-average skills at home. Ms. Elsten completed the teacher rating form, which indicated that Student had below average speech, language, and social/pragmatic skills in the school setting. 60. Ms. Pazdur administered the TOPS-3 to assess Student’s language-based critical thinking skills. The report stated that Student’s total score was below the normative data range for his age. He had significant difficulty answering questions which focused on a broad range of critical thinking skills, including inferring, predicting, determining causes, sequencing, answering negative questions, and problem solving. 61. Ms. Pazdur administered the GFTA-2, which revealed a few articulation errors. However, Student’s vocal quality fluency was within normal limits. She judged his speech intelligibility to be fair-to-variable with a familiar listener, decreasing occasionally with increased length of utterance. The report also stated that Student had normal structure and function of the articulators for speech purposes. 62. The report noted that Student attended to task during the testing, which occurred over several sessions. However, he required frequent rest breaks. 63. The assessment report described the PDDBI inventory assessment tool that Ms. Becker administered to evaluate Student’s social-emotional functioning. The PDDBI is standardized on children with autism. The domain scores of the PDDBI are divided into Approach/Withdrawal Problems and Receptive-Expressive Social Communication Abilities. Higher scores in the Approach/Withdrawal Problems domain indicate increasing levels of severity. Higher scores in the Receptive-Expressive Social Communication Abilities domain indicate increasing levels of competence. Father completed the Parent Extended Form, and Ms. Elsten completed the Teacher Extended Form, with input from Student’s IF. Ms. Adams also completed a Teacher Extended Form. The report stated that the Parent and teacher scores were generally consistent, however the teacher scores overall fell within the average/typical range when compared to students with autism, and the Parent rating fell in the lower than average/less typical range when compared to students with autism. 64. The report discussed Student’s scores on the BASC-2, which Ms. Becker also administered. The BASC-2 consists of ratings scales which are designed to diagnose and classify a variety of emotional and behavioral disorders. Ms. Elsten completed a ratings form, and rated Student as “at risk” in the areas of somatization, school problems, attention problems, withdrawal, adaptive skills, social skills, leadership, and study skills. She rated Student as “clinically significant” in the areas of learning problems, atypicality, and functional communication. Her most significant concerns related to Student’s significantly below grade-level academic performance, and his functional communication skills. Father also completed a ratings form. His ratings did not reflect that Student demonstrated any “at risk” or “clinically significant” behaviors. 65. The report discussed the relationship between Student’s behavior and academic and social functioning. The report stated that, based on the assessment data, Student presented with off-task behaviors which interfered with his educational performance and his interactions with others. The report noted that Student had behavior goals to address these areas. The assessment team did not believe that Student’s functioning was negatively impacted by his environment or due to economic disadvantage. Additionally, the assessment team did not believe that the assessment results reflected negative functioning due to cultural differences. 66. The report described the eligibility criteria for special education, and specifically applied Student’s assessment results to those criteria. The report stated that Student met the eligibility criteria for autistic-like behaviors, speech and language impairment (SLI), and specific learning disability (SLD). The report noted that Student did not meet the eligibility criteria for any other eligibility categories. 67. The report contained Ms. Becker’s and Ms. Adams’s summary that Student continued to demonstrate deficits in academics, communication, language, play, and socialization, which interfered with his learning. The report also contained Ms. Pazdur’s summary, who concluded that Student presented with a communication disorder in the areas of receptive and expressive language and pragmatics. 68. The report noted that Student’s unique needs included, but were not limited to, Receptive/Expressive Language; Pragmatics/Social Language Skills; Reading; Mathematics; and Behavior. The assessment report contained the following classroom recommendations: (1) gain Student’s attention prior to giving directions; (2) preferential seating; (3) positive reinforcement to increase Student’s on-task behavior; and (4) encourage Student to attend to naturally occurring cues to facilitate his ability to follow group directions. 69. At hearing, Ms. Elsten and Ms. Adams each confirmed their observations of Student as related in the assessment report. Ms. Adams also expressed her opinion that Student’s WJ-III scores were consistent with his performance in the RSP class. 70. At hearing, Ms. Becker, the school psychologist, compared Student’s Full Scale Quotient standard score of 82 (Low Average range) on the UNIT with the Nonverbal Intelligence Quotient standard score of 83 (Below Average/Average range), which Student previously obtained on the Comprehensive Test of Nonverbal Intelligence (C-TONI) administered by another school district in 2008 as part of Student’s previous triennial assessment (2008 triennial). In her opinion, the scores were consistent with each other. 71. Ms. Becker asserted that she could directly compare Student’s standard scores on the WJ-III administered to Student as part of the triennial assessment, with Student’s standard scores on the WJ-III that he obtained in his 2008 triennial. In her opinion, comparison of such standardized scores over time demonstrates whether the student has made progress. If the scores are similar to each other, that signifies the student has steadily improved, because the raw scores, from which the standard scores are derived, are dependent on the age category of the student and reflect the number of questions a student answers correctly. As the student grows older, he must answer more questions correctly to obtain the same standard score as he did previously. The ability to answer more questions correctly shows progress. If the more recent standard score is the higher score, the student is making more progress. If the more recent standard score is the lower score, that indicates less progress. Student’s Broad Reading standard score increased from 71 on the 2008 triennial to 74 on the 2011 triennial, which showed progress. His Letter Word Identification standard score of 86 on the 2008 triennial decreased on the 2011 triennial to 80, which showed less progress. His Reading Fluency standard score increased from 74 to 75, which showed progress. His Passage Comprehension score increased from 63 to 74, which showed more significant progress. 72. Ms. Becker compared Student’s scores in the area of mathematics on the WJ-III from his 2008 triennial to his 2011 triennial. His Broad Math standard score in 2008 was 40, and in 2011 it was 60, which Ms. Becker believed demonstrated progress. Student obtained a standard score of 62 on the Math Calculation subtest in 2008, and a standard score of 80 in 2011, which showed more significant progress. His standard score of 37 on the Applied Problems subtest in 2008 increased to 50 in 2011, which Ms. Becker characterized as a fairly significantly higher score. He obtained standard scores of 54 on the Math Fluency subtest in 2008 and 53 on the same subtest in 2011. Ms. Becker believed that this demonstrated growth, in that Student was achieving at the same rate as he had before and had not fallen behind. 73. Ms. Becker also compared the standard scores Student obtained on the Writing portion of the WJ-III as administered in 2008 and in 2011. His Broad Written Language standard score in 2008 was 55, which increased to 72 in 2011, which Ms. Becker characterized as a significant increase. His standard score in Writing Samples was a 69 in 2008 and an 80 in 2011, which Ms. Becker characterized as significant growth. He was unable to respond sufficiently to obtain a standard score on the Writing Fluency subtest in 2008, while he obtained a standard score of 64 on that subtest in 2011. Ms. Becker believed that this demonstrated significant improvement. Student received a standard score of 67 on the Spelling subtest in 2008, and a standard score of 80 on the same subtest in 2011, which Ms. Becker characterized as a significant increase. In her opinion, these comparisons demonstrated that Student made progress overall between the time of the triennial assessment in 2008 and the triennial assessment in 2011. 74. Ms. Becker also testified Student’s VMI scores were adequate such that occupational therapy was not an area of need for Student. 75. At hearing, Ms. Pazdur, Student’s SLP, elaborated upon some of Student’s assessment results in the speech and language area. She described the Pragmatics Profile as a criterion-referenced checklist, by which a score of at least 136 was in the average range. Student obtained a score of only 89 on the test’s checklist that Ms. Pazdur administered to Student’s teacher, over 50 points below the 136 target score for a typical peer. He obtained a score of 169 on the test’s checklist that Ms. Pazdur administered to Father, which was over 30 points above the average score for a typical peer. She has administered this test thousands of times, and has rarely observed scores that were as divergent as these. She questioned the reliability of the score Student obtained on Father’s checklist, especially since Parents had often expressed that Student had difficulties in social communication. 76. Ms. Pazdur also commented that Student’s score on the TOPS-3 was too low to provide a standard score. All of Student’s raw scores on this instrument were below normative data, except for that part of the test that contained negative questions. Student scored in the first percentile rank on that section. 77. Ms. Pazdur explained that the language skills on which she assessed Student were skills that fifth grade pupils were expected to master. Additionally, the percentage of the curriculum that was language-based increased as grade levels increase. Based on the assessment results, she believed that Student would have great difficulty performing in a general education classroom. She also noted that she has observed all of the speech deficiencies Student displayed in the assessments during her LAS therapy sessions with Student. He had difficulty generalizing to other domains what he learned in speech therapy, including using social communication skills on the playground. 78. The testimony of Ms. Becker and Ms. Pazdur regarding these matters was uncontradicted. Furthermore, no evidence was presented that criticized any aspect of the triennial assessment or the triennial assessment report. 79. The District convened a triennial IEP meeting on March 8, 2011, to discuss the results of the triennial assessment, among other matters. The District provided Parents notice of the meeting, which Mother signed, indicating she would attend. Prior to the meeting, Ms. Becker met with Parents, Ms. Adams, and Ms. Pazdur and shared the information in the assessment report with Parents. At that time, Parents disagreed with the Student’s cognitive levels reflected in the triennial assessment. 80. The IEP team members included Mother, Bonnie Hinton (District’s autism specialist), Ms. Pazdur (SLP); Cheryl Beck (Eastbluff’s principal); Ms. Adams (Student’s RSP teacher); Ms. Becker (school psychologist), Ms. Elsten, and Maureen Cottrell (District’s special education coordinator). There was no signature line for Ms. Cottrell on the IEP, but she was present at the meeting. 81. The team noted Student’s primary disability of autistic-like behaviors, with a secondary disability of SLI. The team stated that Student’s autism affects Student’s progress in the core curriculum, in reading, writing, math, and language arts. The IEP team recorded Student’s health information as reported by the school nurse in the assessment report. The team also recorded Parent’s concerns and priorities for Student’s education, as reported in the assessment report. Ms. Elsten reported that Student was polite, spoke clearly, and enjoyed humor. He had improved in sustaining longer periods of independent work and was able to complete modified class work with assistance from his IF. He did not interact with peers when seated with them. He would look at the teacher and respond to questions, with prompting. Student was far below grade level academically and could not be grouped with classmates for academic assignments. He benefitted when instructed at his current academic level. The team noted that Student preferred a multi-sensory learning approach. He enjoyed hands-on learning and movement, and worked best in a small group setting. 82. The team reviewed Student’s progress on his goals and developed new goals. In the area of reading, which involved tasks pertaining to the comprehension of third-grade level texts, Student had met one goal, and had met 50 percent of the second goal. The team developed two new goals regarding third-grade level texts, and added a fluency goal pertaining to fourth-grade level texts. The IEP team based Student’s present levels of performance on his progress on his previous goals, and upon Ms. Adams’s report. Ms. Adams, who initially drafted the reading goals, based the goals upon Student’s academic assessments and upon her personal knowledge of Student. 83. In the area of speech and language, the team recorded that Student had met three of his goals, and had achieved 65 percent of his remaining goal in the area. The team described Student’s present levels of performance, based on the results of the triennial assessment and his therapy sessions with Ms. Pazdur, and new goals were set in the areas of narrative, problem solving, semantics, and topic maintenance relating to social conversations. 84. In the area of mathematics, the team recorded that Student had met three of his goals, in the areas of money, multiplication, time, and word problems, and that he was progressing toward his goal regarding word problems. His present levels of performance were based upon his progress on his previous goals and Ms. Adams’s report. New goals were developed in the areas of division, elapsed time, money, and word problems. Ms. Adams, who initially drafted the mathematics goals, based the goals upon Student’s academic assessments and upon her personal knowledge of Student. 85. In the area of writing, the team recorded that Student had met his only writing goal, which consisted of composing a paragraph. Student’s present level of performance was based upon his progress on his previous goal and upon Ms. Adams’s report. A new writing goal was developed by which Student was to write a two-paragraph essay. Ms. Adams, who initially drafted the writing goal, based the goal on Student’s academic assessments and on her personal knowledge of Student. 86. In the area of behavior, the team noted Student had met his goal regarding frustration tolerance, and had achieved 70 percent of his attending goal. His present levels of performance were based on classroom data and the observations described in the triennial assessment report regarding the amount of time Student was on task, his need for prompts, his self-stimulatory behaviors and his ability to redirect himself after engaging in such behaviors, and his inability to look at peers to self-direct (peer referencing). The team set new goals in the areas of peer referencing, and reduction of self-stimulating behaviors. The latter goal was designed to better target Student’s difficulties with attention than did the goal in Student’s March 19, 2010, IEP, because his self-stimulating behaviors interfered with his ability to attend. Ms. Adams, who initially drafted the behavior goals with the help of Ms. Becker, drafted the goals based upon Student’s assessment results and her personal knowledge of Student. 87. The team listed the assessment instruments administered in the triennial assessment. The team determined that Student’s placement would be Lincoln Elementary school (Lincoln), where he would participate in the general education classroom for mainstreaming approximately 4.5 hours per week in science, music, computers, art, physical education, and other extra-curricular activities. He would receive academic instruction in a mild-moderate SDC at Lincoln in the areas of math and language, five days per week, for 4.5 hours per day. The team stated that Student could not be in the general education setting full-time, as he required intensive small group specialized instruction to meet his goals. He would be outside of the general education classroom 70 percent of the time. The team noted that it had considered the options of general education, designated instruction and services (DIS), consulting/collaborative resource services, RSP, and SDC, and recommended DIS and SDC. 88. The team offered LAS services in a small group setting, three sessions per week, for 30 minutes each session. A District Specialist would collaborate with the special education and general education staff once per month for 30 minutes, and the special education teacher would collaborate with the general education teacher and SLP one time per month for 30 minutes. The team specified the annual duration of these services, and the dates on which they were anticipated to begin and end. 89. The team determined that Student would participate in the CMA, without accommodations, in ELA, Math, Science, and Writing. The CMA tests already include accommodations. The team recommended Student receive extra time on the tests in ELA and Math, in both District testing and classroom tests, and the tests would be administered in a small group setting. The team recommended classroom modifications and accommodations, to include providing extra time, flexibility in scheduling and setting, reading aloud, simplifying/clarifying directions, providing breaks, teaching in a small group, using visuals and manipulatives, using word processor for all writing assignments, using word prediction software and graphic organizer software for writing assignments, and using Type to Learn software to increase Student’s typing speed. The team also determined that the special education teacher should collaborate with the general education teacher to ensure that they were meeting Student’s needs. The team determined that Student did not require assistive devices or services to progress toward IEP goals. The team stated that Student would be evaluated and promoted based on general education standards with modifications. 90. The team acknowledged the triennial assessment results showed Student met eligibility criteria under the categories of autistic-like behaviors, SLI, and SLD. The team recommended that Student participate in extended school year (ESY) due to Student’s autism eligibility and his significant needs in expressive, receptive, and pragmatic language, and in the areas of math and reading in the core curriculum. The team offered ESY during summer 2011 at Kaiser Elementary school, to include a mild/moderate SDC, five times per week for four hours per day, as well as LAS services. 91. The IEP meeting notes stated that Mother was concerned that a parent training was offered but not given. Ms. Cottrell agreed to investigate, and requested that Mother provide a copy of the document to which she was referring. The team reviewed the triennial assessment report, and summarized the results. The classroom teacher noted that class activities in science and social studies were modified quite a bit for Student. She expressed concern that he was working below grade level, and that he required individual adult assistance even with the modified version of the assignments. Mother mentioned that she had requested an IEP in September to address her concerns about Student’s goals and the modified assignments in social studies and science. 92. The team stated Student had unique needs in reading (comprehension, fluency, and decoding); math (calculation, fluency, applied); behavior (completion of tasks, reduction of self stimulation); receptive/expressive language; and pragmatics/social language skills. The team noted that Student participated in the third grade Voyager reading intervention program. 93. Mother shared concerns regarding Student’s socializing with peers during the before-school recess. The team noted that during school-day recess, Student had greatly improved in playing with his peers, facilitated by his IF. The professionals on the team had not observed the other children treating Student differently during play, with the exception of giving Student more turns. 94. Ms. Elsten, Ms. Becker, Ms. Pazdur, and Ms. Adams all shared their professional opinion that the mild-moderate SDC at Lincoln was an appropriate placement for Student, because he required individualized special education instruction, as well as small group learning opportunities, with curriculum presented at his developmental level. The notes reflected that Mother disagreed, and believed that the team had failed Student. The District team members disputed Mother’s position, noting Student had made some progress since his enrollment in the District. They advised that the program he had at Eastbluff was based on one he had had at a previous school district. They noted that since his enrollment at Eastbluff, the District has had the opportunity to implement that program, assess Student, and analyze the data. Based upon their experience with Student and the assessment results, the District members of the team believed that the gap was widening between Student’s abilities versus what was expected for his age. The team then discussed the duties of Student’s IF, including that she was not a credentialed teacher and was not responsible for providing direct instruction. Ms. Cottrell noted that the IF’s role was to support pupils in their learning environment by such means as prompting and repetition of directions; the IF was not to teach the pupil new skills and behaviors. There was a discussion about Student’s planner, as Mother indicated that she was not being informed of Student’s school activities. However, Mother refused to let Ms. Elsten see the planner. 95. The District members of the team recommended that Parents tour the SDC at Lincoln, and suggested convening an IEP meeting after that tour, with Lincoln staff present, to address Mother’s concerns. 96. Mother complained that she had attended what she believed was scheduled as a parent-teacher conference in November 2010, and had not received any notice that it was actually an IEP meeting. Ms. Cottrell said she would check the file to locate the meeting notice. Ms. Cottrell also reviewed the notes of the November 2010 meeting and explained the purpose of the meeting was to change Student’s state testing to CMA, and that District SDC and RSP teachers were participating in those meetings that week to finalize the tests that would be provided in spring 2011. She also stated that Student required a change to CMA because he had performed at the Below Basic and Far Below Basic levels on the STAR tests. 97. The IEP meeting lasted more than two hours. Mother ended it abruptly by angrily leaving the meeting after voicing her disagreement with the proposed SDC placement and stating that she would not sign the IEP, even to indicate attendance only. Parents never consented to the IEP. 98. After the meeting, Ms. Cottrell reviewed Student’s file and located the invitation for the November 17, 2010, IEP meeting, which Mother had signed on November 9, 2010. On the next school day after the March 8, 2011, meeting, school staff reviewed Student’s school planner when he brought it to school, and noticed that all pages from the start of the school year through March 8, 2011 had been ripped out of it. 99. The District customarily generated several different versions of an IEP as a function of its computer system, and it did so with respect to the March 8, 2011, IEP. Prior to the IEP meeting, the District members of the team generated a draft IEP as they developed goals. Ms. Adams sent at least some of the draft goals home to Parents before the meeting. At the meeting, Mother was given the most recent draft of the IEP up to that point. As the IEP meeting proceeded, and the team discussed the various elements of the IEP, another version of the IEP was generated. All drafts of IEPs are denoted by the term “Draft” at the bottom right corner of each page. At some point, even though the IEP was not signed by Parents, the computer automatically finalized the IEP, and this version of the IEP was annotated “Current” at the bottom right corner of each page. This version of the IEP appeared in Student’s school records. Consequently, Parents would have received several different versions of the March 8, 2011, IEP, including a final “Current” version. 100. Subsequent to the meeting, Parents visited the mild-moderate SDC at Lincoln. The SDC had one teacher, one instructional assistant, and approximately seven pupils. The pupils ranged from fourth through sixth grades, and they had a variety of disabilities. There were no aides or assistants assigned to individual students. Student’s curriculum in ELA and math would be a replacement curriculum, with a modified curriculum in science and history that would follow state standards. The curriculum level would be individualized. Student would be mainstreamed for computers, art, science, music, PE, recess, lunch, assemblies, field trips, and any other subjects in which he had progressed to such a degree that mainstreaming would be appropriate. One of the goals of the program was for the pupils to progress so well that they could be included in the general education environment as much as possible. The District Specialist listed in the IEP would be a school psychologist or autism specialist who would collaborate with Student’s teachers and school staff to support him with respect to instructional strategies and behavioral strategies. District would provide LAS on campus. Lincoln had a school-wide citizenship program and was able to provide social skills instruction. 101. The parties agreed on another IEP meeting date, but the parties mutually cancelled the date. On June 9, 2011, Ms. Cottrell sent a prior written notice letter to Parents supporting the District’s offer of placement and services in the March 8, 2011, IEP. 102. At hearing, Ms. Becker, Ms. Adams, Ms. Pazdur, Ms. Elsten, and Ms. Beck all expressed their opinion that the March 8, 2011, IEP offered Student a FAPE. None of these opinions was contradicted. Ms. Adams agreed with the SDC placement with some mainstreaming, because the gap between Student and his typical peers was widening. He was not achieving one year’s academic progress in one year’s time. Further, given Student’s goals and areas of need, he required a program, such as the program offered in the March 8, 2011, IEP, that allowed him to work on his goals throughout the school day. He needed someone who could redirect him and work on his attending and focus. In view of his goals and areas of need, the time he spent in the general education setting at Eastbluff was not appropriate in helping him achieve his goals. 103. Ms. Becker explained that the mild-moderate SDC at Lincoln was an appropriate placement for Student, because his academic ability was significantly below that of his general education peers, and he required the intensive SDC program at Lincoln to meet his needs. She expressed her opinion that, because the curriculum in all of his subjects was either modified or taught on an alternative curriculum, combined with the fact that his academic curriculum was also below grade level during the 2010-2011 school year, he could not access the core curriculum in a sixth grade general education classroom, even with accommodations. Furthermore, the gap was widening between what Student could accomplish and what his peers could accomplish in the general education classroom. She did not believe that Student was benefitting from his program. She also believed that the Lincoln SDC would be a less restrictive environment as a practical matter, because Student was essentially working with his IF in the general education environment, with constant prompting. He was not participating very much in the general education classroom or interacting much with his peers. She noted that the team had changed the level of services of the District Specialist to 30 minutes per month as opposed to the 60 minutes per month provided in the March 19, 2010, IEP because the Lincoln SDC offered a more intensive program than did Student’s Eastbluff program. 104. Ms. Pazdur explained that the Student’s level of LAS services in the March 8, 2011, IEP, changed only in that the 15-minute session on the playground was eliminated. The Eastbluff Arcade did not include sixth grade, so Ms. Pazdur did not consider it appropriate for Student, and it would not have been included in Student’s IEP, had the IEP team recommended placement at Eastbluff. She described his goals, and noted that the expressive language goal only involved a simple sentence of five to six words. In her opinion, he had met the goal, but it was not an appropriate grade-level sentence. She agreed with the recommendation that Student be placed in an SDC. She asserted that the content of the SDC program would be more comprehensible to him, in view of his language difficulties. She also believed that if the classroom expectations were at his level, he would attend more and exhibit less self-stimulating behaviors. Furthermore, she believed that Student’s general education class at Eastbluff was not functionally the LRE, since he required intensive assistance from his IF, he could not work at grade level or independently, and he could not participate in learning with his typical peers. In the SDC, she believed he could work independently, and he would be taught by a certified special education teacher. 105. Ms. Elsten expressed her opinion that the SDC at Lincoln was appropriate for Student, because, as the curriculum grew more complex and expectations grew higher in fifth grade, Student became more frustrated and stressed in the general education environment. She believed that he was further behind his typical peers at the end of the 2010-2011 school year than at the beginning of the school year. He made some gains in his reading and writing ability, but the gains were not significant enough to qualify him for a general education class. She never saw him develop over the year to the point where he could independently complete tasks. She estimated that he benefitted socially from exposure to his typical peers about 30 percent of the time. She was concerned that the academic and social environment was so challenging for him, however, that she was doubtful there would be any long-range benefit to a continued placement in a general education classroom. Ms. Elsten believed that the gap between Student’s academic abilities and social behaviors and those of his typical peers would only widen over time, and that Student would become less able to access his education in the general education environment. 106. Ms. Beck, Eastbluff’s principal, also expressed her opinion that the SDC at Lincoln was appropriate for Student. Ms. Beck received her B.A. in liberal studies from CSU, Fullerton, where she also received her multi-subject teaching credential. She received her M.A. in educational administration from Azusa Pacific University, and she holds an administrative credential. She did post-graduate work at California State University, Long Beach, but did not obtain a degree in that program. She has 10 years teaching experience in another California school district, which included teaching grades two through five. She has been the principal at Eastbluff for the past three years. She believed that Student had made limited progress at Eastbluff, despite the intensive program in his IEP. The team had offered as much in the way of placement and services as they were able to within his setting at Eastbluff. She had observed Student in his general education classroom, and noted his inability to work independently in the general education setting, and his lack of interaction with his general education peers. Based upon these factors, she agreed with the IEP team’s decision to offer placement in the SDC at Lincoln. 1. District contends that the March 8, 2011, IEP offered a FAPE in the LRE for Student. District further contends that because it is offering Student a FAPE, and Parents will not consent to the IEP, District should be permitted to implement the program without parental consent. Parents only attended part of the hearing and did not submit closing arguments, however, they filed a document in response to the District’s Complaint prior to the hearing entitled “Counter-Respondent’s Answer.” In that document, Parents stated they had not signed their consent to the March 8, 2011, IEP because they believed the assessments were incorrect and that the recommended SDC placement was not appropriate. As is discussed below, District met its burden of demonstrating that it offered Student a FAPE. 3 All subsequent references to the Code of Federal Regulations are to the 2006 version, unless otherwise indicated. 22. Procedurally, the evidence demonstrated that the March 8, 2011, IEP was developed in accordance with the law. The March 8, 2011, IEP was properly noticed, and the IEP team included Mother, who participated in the meeting until she voluntarily and abruptly decided to leave. The IEP document contained the necessary content, including the Student’s present levels of performance, areas of Student’s unique needs, and measurable annual goals that were based upon Student’s present levels of performance, to address Student’s areas of need. The IEP also contained required information regarding reporting of progress on goals, classroom and testing accommodations, and the frequency, location, and starting and ending dates of the proposed placement and services. The team considered Student’s strengths, Parent’s concerns, the recent triennial assessment, and Student’s academic, developmental, and functional needs. 23. Additionally, the evidence demonstrated that the triennial assessment, upon which the March 8, 2011, IEP was based, was conducted in accordance with the law. The assessment was conducted pursuant to parental consent, and the assessors were qualified to conduct the assessment. The assessment was comprehensive, and Student was assessed in all areas of suspected disability. The assessment instruments were administered in accordance with their instructions, were validated for the specific purpose for which they were used, were selected and administered so as not to be racially, culturally, or sexually discriminatory, and they were administered in English, Student’s primary language. The triennial assessment included a variety of tools and strategies, including Parent and teacher interviews, records review, standardized tests, checklists, and verbal and non-verbal tests. The assessment gathered relevant functional, developmental, and academic information about Student. The assessors produced a lengthy and detailed report that was provided to Parents by the time of the March 8, 2011, IEP meeting. The report contained information regarding Student’s need for special education and related services, the basis for ascertaining that need, Student’s behaviors during the assessment, how Student’s behavior related to his academic and social functioning, educationally relevant health and developmental findings, and the need for specialized services, materials, and equipment. At hearing, Ms. Becker and Ms. Pazdur, both of whom were qualified and trained to administer the various assessment instruments they included in the assessment, elaborated upon the assessment report and credibly explained the findings of the assessment team. Their testimony was uncontradicted. Student presented no evidence that the triennial assessment was not appropriate, or invalid, or that the assessment report was defective. 24. The evidence also demonstrated that the March 8, 2011, IEP offered Student a substantive FAPE. The District had included Student in a general education placement for both fourth and fifth grades, with consistent IF aide support, intensive RSP services, and related services such as LAS. Despite these supports, Student’s 2011 triennial assessment demonstrated that Student was functioning well below grade level towards the end of fifth grade in the 2010-2011 school year. Student’s performance in fifth grade also demonstrated that he required an alternative curriculum in his core RSP subjects, and a modified curriculum in his general education subjects. Student was almost completely dependent on his IF to accomplish his academic tasks in the general education classroom. Student had obtained some educational benefit in this program, as demonstrated by a comparison of his WJ-III scores on his 2008 and 2011 triennial assessments, and by his progress on his goals. However, as Ms. Elsten, Student’s experienced fifth grade general education teacher testified, Student had not made sufficient progress to narrow the academic gap between him and his peers, which limited his educational benefit and frustrated him. In turn, Student’s frustration was causing him to engage in negative behaviors in the general education environment, such as increased verbal outbursts, resistance to tasks, anger, crying, and engaging in more self-stimulating behavior such as self-talk. Ms. Adams, Student’s RSP teacher, agreed with Ms. Elsten that the gap between Student and his typical peers was widening, and further noted that Student’s inclusion in general education was not helping Student to achieve his goals. Rather, based upon her experience with Student, his extensive needs, and his numerous goals, he required a program that provided the opportunity to work on his goals throughout the day. Ms. Becker, the school psychologist, agreed with both Ms. Elsten and Ms. Adams that the academic gap was widening between Student and his peers. She also agreed with Ms. Adams that Student required intensive educational efforts to meet his needs. Ms. Beck, Eastbluff’s principal, who had ten years of teaching experience in the elementary grades, added that the District had provided all of the supports that it could provide at Eastbluff, but Student’s unique needs required more intensive supports if Student were to continue to receive an educational benefit. Ms. Pazdur, Student’s SLP since he entered the District during the 2008-2009 school year, testified that Student needed more intensive special education instruction especially because, as the grade levels increased, the language aspects of the curriculum increased, and Student’s language skills were well below grade level. All of these witnesses were educated in and knowledgeable about their fields, and they had direct knowledge of Student, which enhanced the credibility of their testimony. 25. Further, application of the factors required by Holland, supra, reveals that Student’s LRE was the SDC at Lincoln, and not a general education classroom with RSP services. First, the evidence demonstrated that the educational benefits to Student of the SDC placement outweighed the educational benefits to Student of placement in the general education environment. In the SDC, Student would be taught by a special education teacher full-time. The curriculum would be tailored to his needs, abilities, and learning style. He would no longer be frustrated by being in a general education classroom where he was always working on material that was several grade levels behind the other children. He would be more independent, as he would no longer require an aide who was constantly present. 26. With respect to the second Holland factor, there was no evidence that Student would obtain greater non-academic benefits of interacting with typical peers in a general education classroom than he would by interacting with typical peers in the mainstreaming opportunities offered by the District at Lincoln. Student enjoyed making presentations in front of the class, and when Ms. Elsten chose him to be Sergeant-at-Arms, and he demonstrated more skills in these situations. However, there was no specific evidence that, on a day-to-day and routine basis, Student obtained particular social, communication or other personal benefits, such as increased self-esteem or self-confidence, by reason of being in the company of typical peers in the general education classroom. Indeed, Student often worked in class directly with his IF, while his typical peers worked independently on entirely different assignments which Student could not understand or perform. Furthermore, Student hardly communicated with his typical peers in the classroom, or even attempted to communicate with them. 27. With respect to the third Holland factor, the evidence was uncontradicted that, as the school year advanced, so did Student’s peers, while Student fell further behind relative to their academic and social abilities. Consequently, Student grew more frustrated, and his behaviors deteriorated. His increased outbursts and frequent crying disrupted the other children’s learning. Since, as Ms. Elsten believed, the gap between Student’s academic and social abilities and those of his typical peers’ academic and social abilities would only widen over time, Student’s frustration would probably increase, as would the risk of Student engaging in negative classroom behaviors. Ms. Elsten’s belief in this regard was supported by the testimony of Ms. Adams and Ms. Becker. An increase in Student’s frustration level would not be a benefit to Student, his typical classmates, or his teacher. With respect to the fourth Holland factor, there was no evidence regarding the cost of educating Student in the District SDC as compared to educating him in a general education classroom in the District. Under these circumstances, the balancing of the Holland factors weighs in favor of placing Student in the SDC. 28. Based upon all of the foregoing information, the District members of Student’s IEP team realized that Student’s program required a change if he were to continue to receive some educational benefit. They therefore determined that Student required additional supports, in the form of additional specialized, small group instruction as would be provided in the mild-moderate SDC at Lincoln. In so doing, the team did not alter the amount of direct LAS therapy Student would receive, but the team changed the amount of collaborative services Student would receive. The team diminished the amount of collaboration provided by the school psychologist from the 60 minutes per month he was receiving at Eastbluff to 30 minutes per month. The team also changed the special education collaborative services from one time per week for 20 minutes by the RSP teacher at Eastbluff to one time per month for 30 minutes by the SDC teacher at Lincoln. The team eliminated the 15 minutes of social skills training on the playground in the Eastbluff Arcade. At the same time, by placing him in the Lincoln SDC the team more than doubled the amount of special education services Student would receive. The SDC placement also ensured that Student’s specialized education would be intensive, as he would be taught by a qualified special education teacher, in a small group, with a curriculum tailored to his developmental level, and that he would be more independent as he would not require an IF. Furthermore, he would still have mainstreaming opportunities so that he could associate with typical peers. 29. The “snapshot” rule requires that an IEP be evaluated by considering the information that was available to the IEP team at the time it was developed, and what was reasonable at that time. Based upon Student’s assessments, academic performance, unique needs, and all of the other information available to the IEP team at the time of the IEP, the IEP was reasonably calculated to provide Student some educational benefit. 30. Student presented no evidence to the contrary. The evidence showed that, at all times prior to the March 8, 2011, IEP team meeting, the District had implemented the specialized instructions, services, and goals in Student’s operative IEP. One or both Parents had attended and participated at the subject IEP meetings. Contrary to Parents’ belief, his March 19, 2010, IEP did not provide that Student would work on a grade level curriculum, or that Student’s IF would be his one-to-one exclusive aide. Student presented no evidence that District prevented Mother from communicating with Student’s teachers. Rather, the evidence reflected that Mother was at school nearly everyday, that she spoke to Student’s IF nearly everyday, and that Parents could communicate with school staff every day via the Student’s planner. There was no evidence that District had tampered with the March 8, 2011, IEP such that Parents were deceived regarding its content. There was no specific evidence that Student had been bullied on campus, and no evidence whatsoever that Student had been targeted by bullies on campus, or that the District had ignored Parents’ concerns regarding bullying. In sum, there was no evidence that the District denied Student a FAPE. 31. Based upon Findings of Fact 1 through 106, and Legal Conclusions 1 through 30, the March 8, 2011, IEP offered Student a FAPE in the LRE. Furthermore, there was no evidence that the District failed to conform to the procedures of the IDEA and the Education Code in formulating the IEP. The March 8, 2011, IEP offered Student a FAPE in the LRE. District may implement the March 8, 2011, IEP without parental consent.